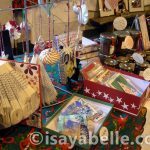 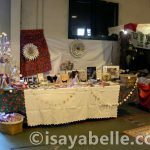 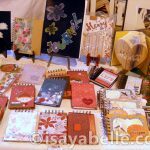 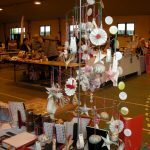 A few times every year, I take part in various local craft fairs or Christmas markets. 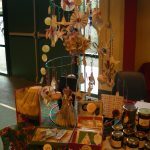 Come and visit if you’re around! 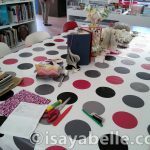 I also run workshops in real life !! 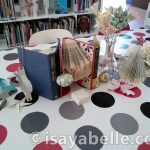 In libraries for instance! 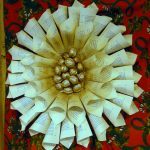 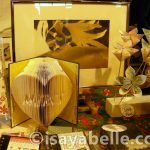 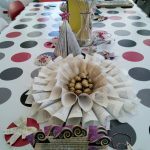 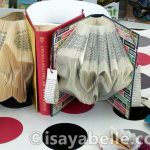 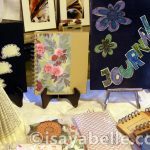 I am available for facilitating and running workshops on folded books, origami and paper art, mixed media and scrapbooking creations.